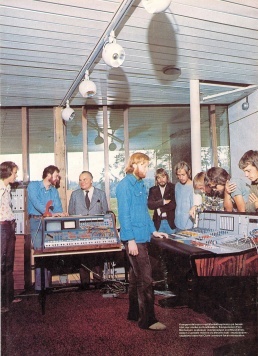 NSEM (Hal Clark in the middle), 1975. Source. 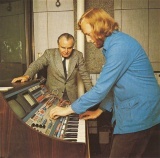 Norsk Studio for Elektronisk Musikk (NSEM) was founded in 1975 by Hal Clark and Arne Nordheim at the Henie-Onstad Art Centre in Høvikodden, while it was run together with the Music Academy, Norwegian Broadcasting Bureau (NRK), and Composers Union. As a result of controversy it moved to the Academy in 1978, and soon dissolved. Flickr gallery by Henie-Onstad Art Centre. This page was last modified on 2 June 2015, at 11:34.